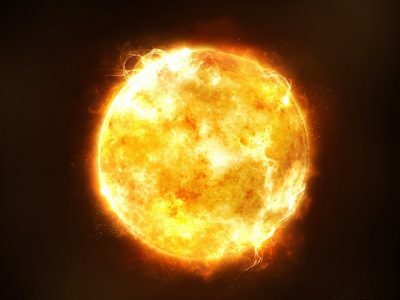 Scientists have recorded a sharp increase in solar activity: the star burns the “fuel” of the previous solar cycle, according to the Laboratory of X-ray Astronomy at the Physical Institute of the Russian Academy of Sciences. “A sharp increase in solar activity has been observed on space monitors in the last 24 hours, which provide information about the X-ray flux of the Sun,” the report says. So, three flashes of class “C” (minor consequences for the Earth) were recorded on Wednesday and Thursday. The “flare activity index” for the first time in several months reached the yellow level (the peak value was 3.5 on a 10-point scale). Today, scientists have registered a class “C” outbreak with 4.8 parameters. The sun continues to burn the “fuel” of the previous cycle, and the expected new 25th 11-year cycle of solar activity has not yet begun. Such a “fuel” are magnetic fields that are formed under the surface of the Sun and are carried away by plasma flows outwards with excess energy. “It is this energy that is burned out in the form of flashes,” the researchers note.